Although we're technically still stuck in the winter season, Spring is around the corner. Now is a great time to get to work scrubbing your portfolio of its cobwebs. Don’t let market panic, anxiety and fear get the best of you. One of the toughest challenges investors face is keeping emotions in check during significant market corrections. Watch The Market Minute for timely updates on the capital markets. We connect the dots to help you become a better investor. Your financial well-being is about more than just your investment portfolio! Total financial planning advice will help simplify and meaningfully improve your quality of life. At LodeStar®, we combine asset management with smart, forward-thinking financial planning, using cutting-edge technology, including risk engineering, to bring you the best in wealth management. We'll handle your financial life so that you can focus on what you enjoy. 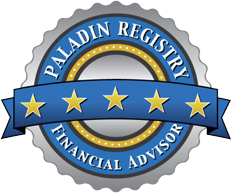 We are a "fee-only" wealth management firm and serve as fiduciaries, always putting your best interests first. As you face the inevitable changes of life, we are here to guide you as your financial confidant and advocate. Smart Planning. For Life. It's what we're all about. So, let's get together and talk about your life! Sign up to receive periodic market updates and industry news right to your inbox.